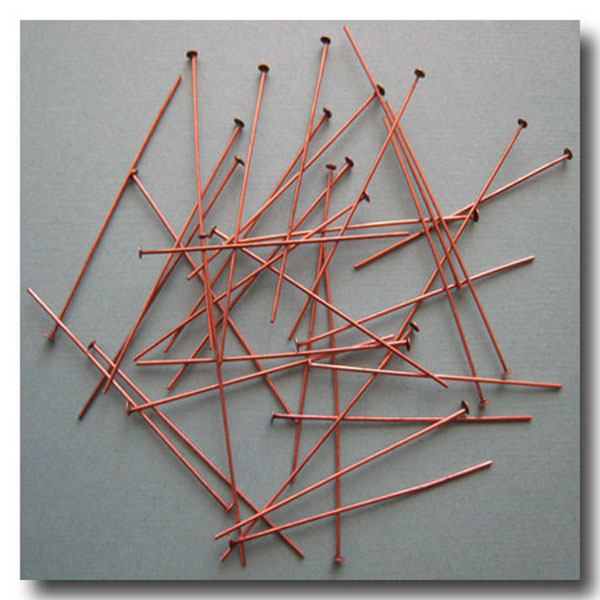 ANTIQUE COPPER HEADPINS. 1 1/2 inch x 24 gauge. Brass based. Also AVAILABLE in: Silver Plate, Brushed Silver Plate, Gunmetal and Antique Brass.